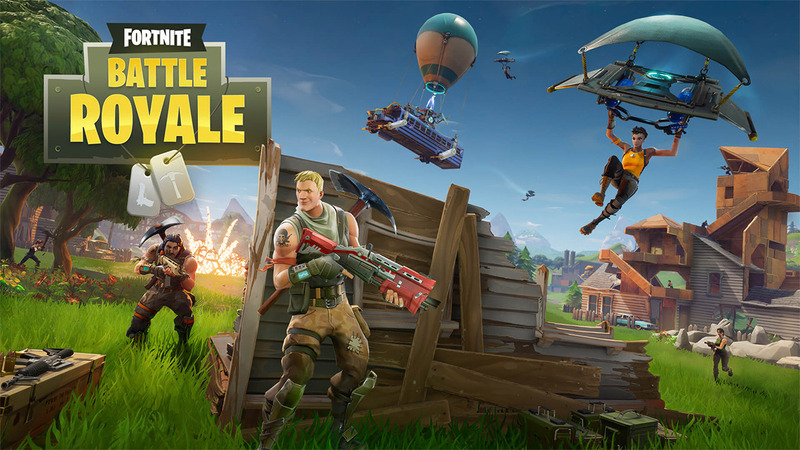 Epic Games has officially delighted a growing legion of iOS device owners by rolling out early invite codes and app download for the exceptionally fun Fortnite Mobile game. An official notice suggests that the Android version is coming but just what do you need to do to be alerted for that release? We have that information for you. Let’s dive right in and take a look at the Android device sign-up process so that you are guaranteed an invite once Android version goes live, which according to Epic Games should be in the next few months. Step 1: First and foremost, if you are an Android user, you are going to need to make sure that Epic Games is aware that you want to be a part of the initial rollout on that platform. Head on over to the direct Epic Games sign-up link to get started: epicgames.com/fortnite/en-US/mobile/sign-up. 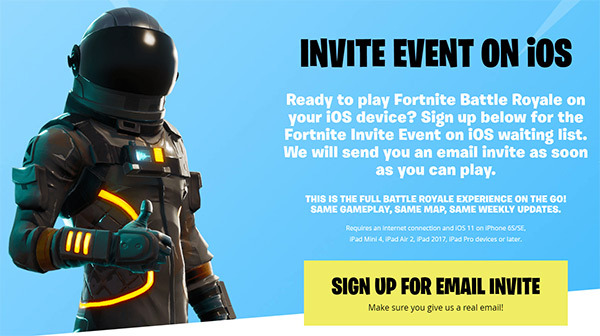 Step 2: Once there, you will see some information about the Fortnite experience as well as a “Sign up for an email invite” button all in capital letters. Click on that button to continue. Step 3: You will be asked if you are already a Fortnite gamer on any other platform like PC, Xbox, iPhone, PS4 etc. Select Yes and move to the next step. Step 4: Select the platform that you currently play Fortnite on. Depending on which option you choose, you will be given a new alert which shows the relevant sign-in page for the chosen platform. You will need to put in the correct credentials for the chosen platform. Next, you will need to sign-in with your Epic Games account. Once signed in, you will be given a drop-down box to choose your Android device. These devices are listed under the header “Android – Coming later”. Select the device to continue. You will then be given a very simple message from Epic Games informing you that the Android rollout is coming later and you will be emailed when it’s available. Congratulations! The above steps obviously assume you are already playing the game on another platform but what if you aren’t? Well, it’s simple. 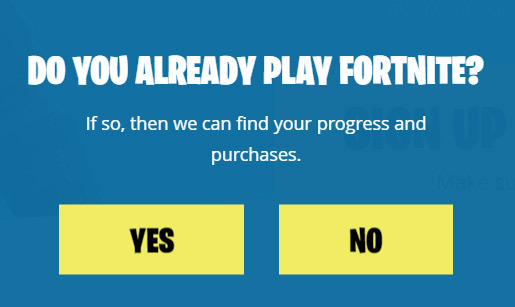 When asked in Step 3 above if you are already a Fortnite gamer, select No to continue. 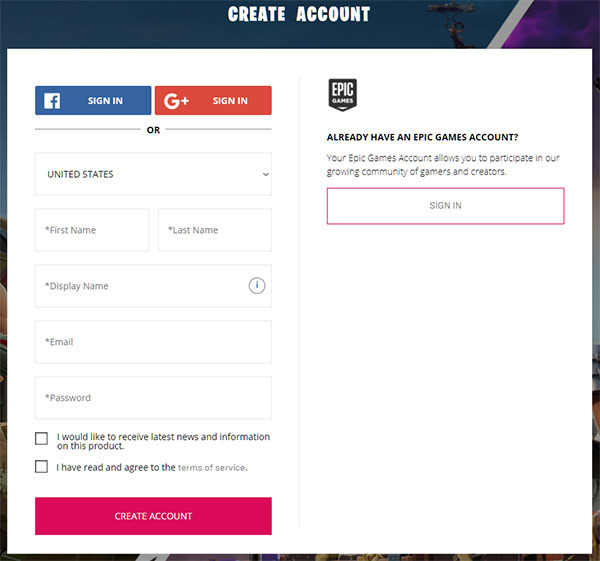 You will then be asked to sign-up for an Epic Games account. On the sign up page, fill in the relevant information that the page asks for or choose to create the account using Facebook or Google if you prefer. Once the information is entered, select Create Account to proceed. Once the account is created, you will be given a drop-down box to choose your Android device. These devices are listed under the header “Android – Coming later”. Select the device and that’s about it. You will get a very simple message from Epic Games informing you that the Android rollout is coming later and you will be emailed when it’s available. Of course, if you can’t wait for that day, you can try out the Fortnite Mobile clone in the form of FortCraft right here: FortCraft Android APK, iOS IPA Download Brings Fortnite Mobile Clone While We Await Official Release.